Who’s Heir to Prince’s Throne? In a prior post , we discussed the death of the musician Prince and speculated about matters pertaining to his estate. Since that time, the public has become aware of the tragic circumstances of his death and that he did indeed die without a Will. In New York, person dying without a Will is deemed “intestate”. The proceeding held in Surrogate’s Court is then called an Administration Proceeding. In such a proceeding, those persons inherit depending upon their proximity in relationship to the deceased. For instance, if the deceased died without a spouse or children, then his parents would inherit from the deceased. With the estimated $300,000,000 estate at stake in the Prince case, random people may have an interest in claiming to be “related”. 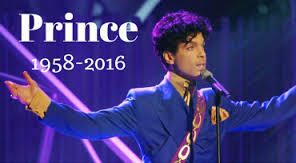 Recent news reports have indicated that the Judge in the Prince case has limited those who claim to be Prince’s “relatives”. Even a person serving time in prison made such a claim. A DNA test was administered to the inmate to eliminate his claim in the estate. Others were not offered blood testing. While we can debate which persons should have been more thoroughly considered through DNA and blood testing, the mechanism shows that the Court will look at scientific evidence when necessary to determine whether a claimant is indeed related. The Surrogate’s Court in New York provides for a Kinship Proceeding in these circumstances. In order to demonstrate kinship to the decedent, one must show relationship through common ancestors, proof that there is not a surviving relative with a closer degree of relationship and identify a limitation on the number of the claimant’s class. In New York, one cannot inherit by intestacy if he is beyond the relationship of first cousin once removed (child of a first cousin) to the deceased. Family tree charts and birth and death records may need to be submitted. Cemetery and municipal records may be sought for the data required. Testimony and genetic testing may also be ordered to resolve these cases. Once resolving an estate requires a Kinship proceeding, settlement becomes quite costly to the survivors. Most estates do not have the assets held by Prince and are not well suited to weather such protracted cases. We recommend that our readers develop estate plans and contact a qualified attorney to document their wishes. That way, Administration and Kinship Proceedings can be avoided.